Our annual Seed Swap will take place Saturday, February 9th from 11 AM to 2 PM here at the library. Stop by to swap seeds or just talk plants. If you have extra seeds, bring them to share. No seeds? Let us get you started! Seed catalogs and houseplant cuttings are also welcome. Extra seeds will be kept at the circulation desk through the growing season to extend the sharing. Join us as we look forward to spring! Join the Library for an upcoming trip to Prague and Vienna! The trip will take place from March 28th through April 6, 2019. A portion of every fare benefits the Library. 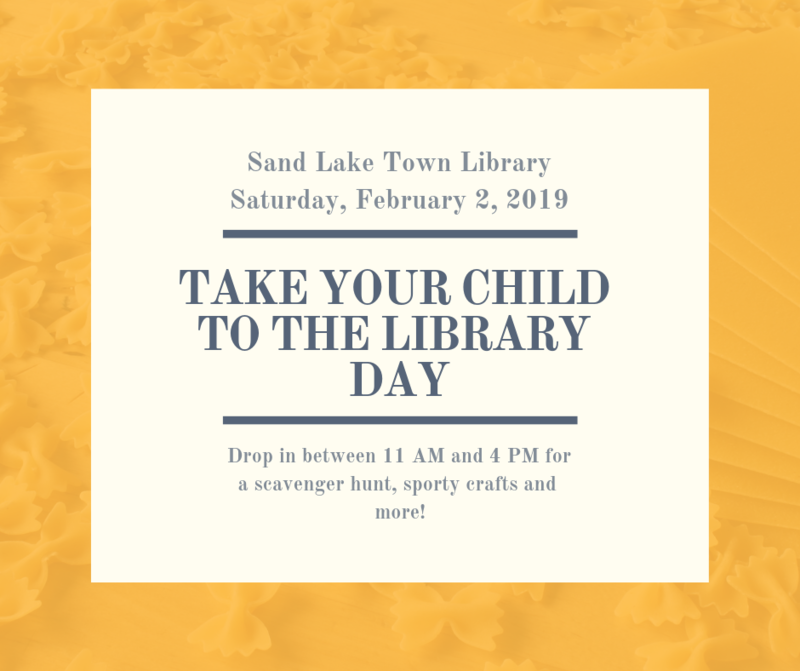 Events must be sponsored by a non-profit or community group located in the Town of Sand Lake which is engaged in educational, cultural, intellectual or charitable activities. 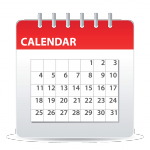 Event postings should include the name of the sponsoring organization, date, time and location, fee (if any), web address and contact information. Please submit events at least 1 week and as early as 2 months prior to. 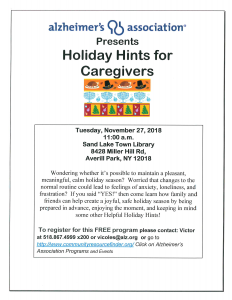 Join us Tuesday, November 27th for this informative program. Call the number listed on the poster or call the library at 518-674-5050 to register.